Give a Gift Membership to a friend or family member to celebrate a special occasion. Your thoughtful gift will enable NRDC to fight the most important battles — in and out of the courtroom — to defend our imperiled wildlife and wildlands, our clean air and water, and our environment. We'll email your recipient an e-card letting them know that you've given them a Gift Membership to NRDC. An option to send a postal card instead is also available. Please click the button only once to avoid a duplicate charge. Do not exit this window until you receive confirmation that your information has been processed, which may take a minute or two. If you prefer to donate by mail, please use our printable donation form and mail to: NRDC, 40 W. 20th St., NY, NY 10011. To donate by phone, please call 212-727-2700 from 9:30 to 5:30 Eastern time. Thank you! Donations will be used to support NRDC's far-reaching work to protect the environment in the most effective way possible. Make a donation to NRDC in someone's honor. 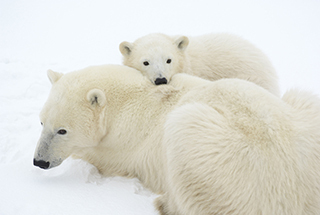 Give an NRDC Gift Membership to someone special. Donate through a donor-advised fund.